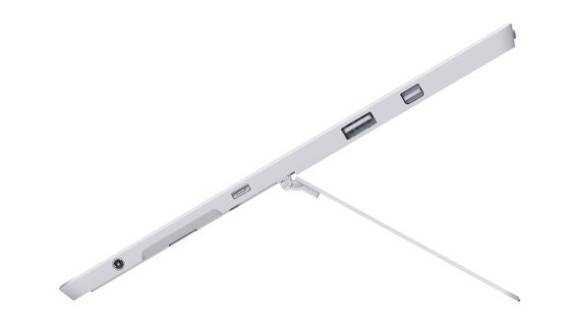 Tag Archive | "click mini"
Things are hotting-up in the 8.9-inch Windows detachable sector with Toshiba announcing something that’s going to go head-to-head with the ASUS Transformer Book T90 Chi. 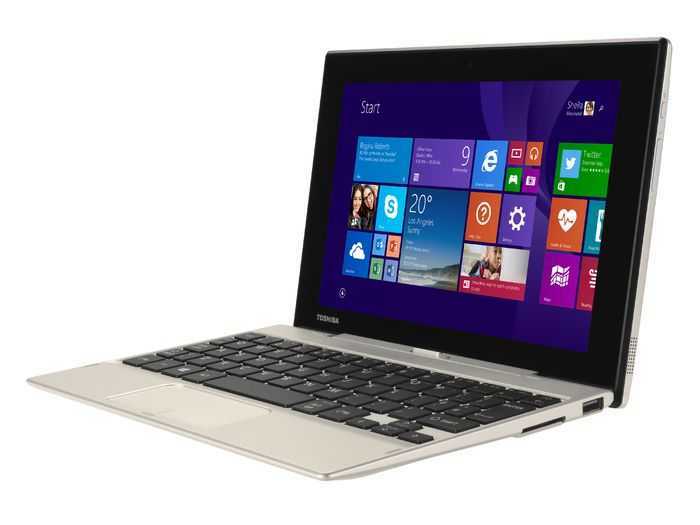 The Toshiba Satellite Click Mini beats the T90 Chi on some specifications, but not on others. At 1KG (2.2 pounds) exactly the Toshiba Satellite Click 2 with its docking keyboard isn’t as light as the T90 Chi but there’s a reason for that. The keyboard isn’t just a Bluetooth keyboard but a true docking keyboard with USB port, charging port and battery. Video playback battery life is quoted at 8hrs for the tablet and 16 hours with the dock. This looks like the perfect seat-back companion for international flights. Expect a little less on web browsing but 12+ hours should be possible if the Click Mini falls in line with what we’ve seen on this platform from other products. A Toshiba Click Mini video playlist is embedded below. Full specifications, images, videos and more in our database.